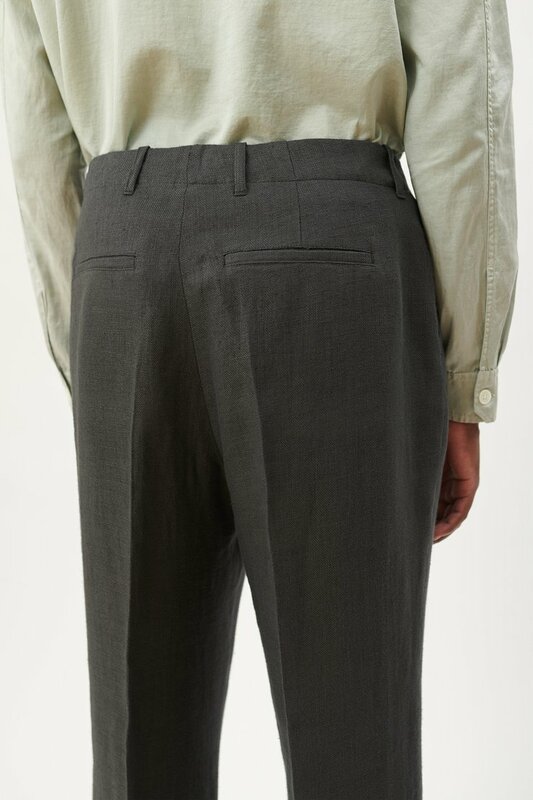 Our Borrowed Chino in Black Fine Sack. 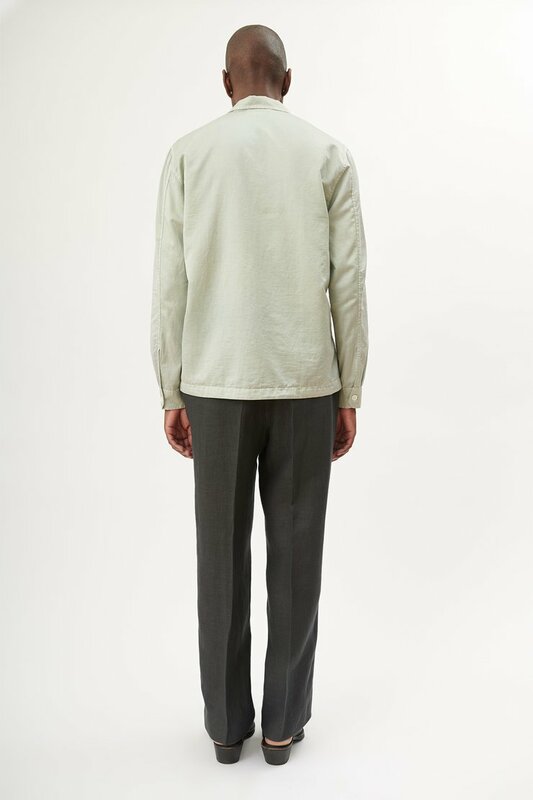 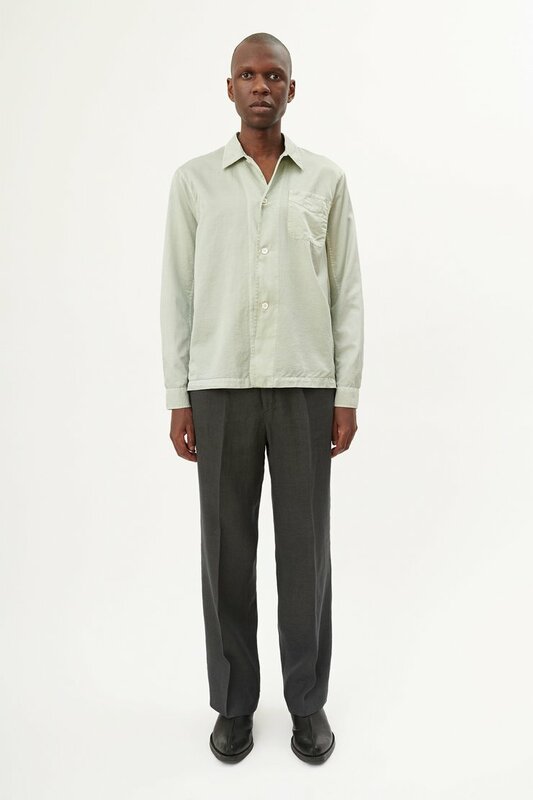 Produced in an Italian linen fabric, the wide legged Borrowed Chino has a relaxed fit and features front pleats, a YKK zip fly and a hidden hook and eye waist closure. 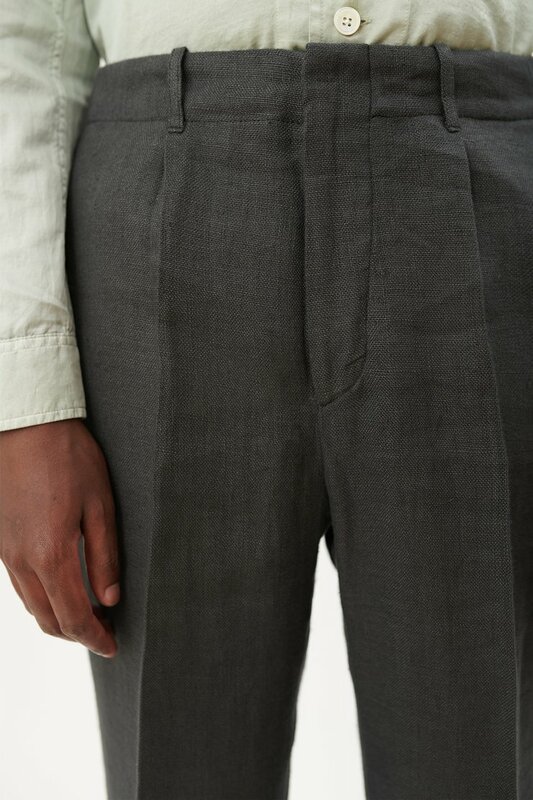 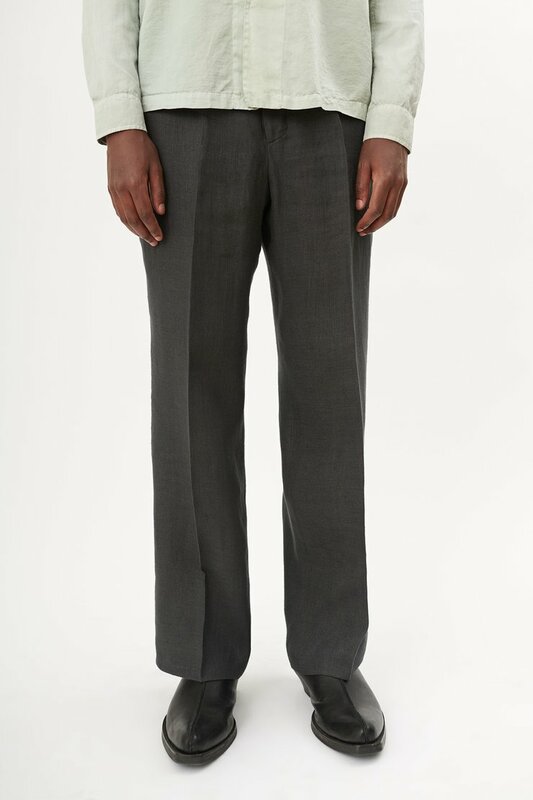 Our Borrowed Chinos are slightly oversized with a wide legged, relaxed fit. 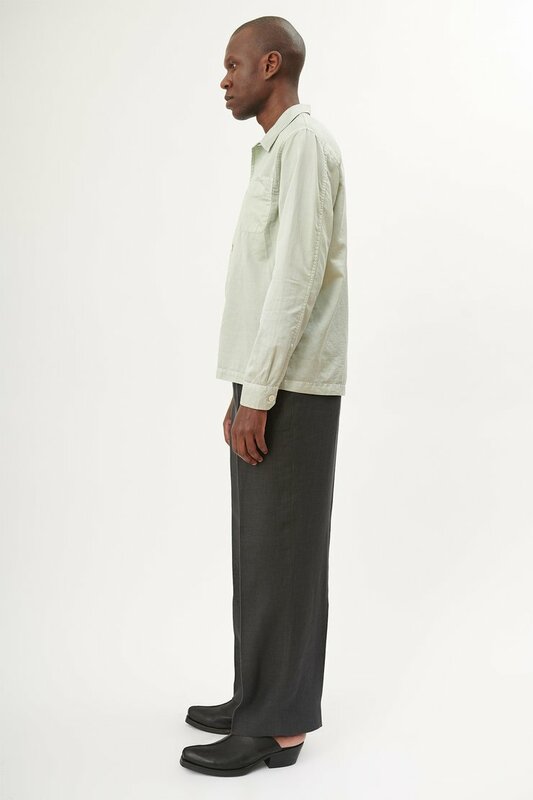 The model is 188 cm tall with a 32” waist and is wearing a size M/48.